Are you unhappy with your smile or old crowns? Advances in cosmetic and restorative have come a long way since the use of unsightly or inadequate dental crowns. Gone are the days of dark lines at the base of your crowns, unrealistic tooth shading, and conspicuous metal crowns. Manalapan dentists, Dr. James Courey and Dr. Joseph Zagami combine artistry with function when addressing unsightly dental work with more aesthetic alternatives. Typically, older crowns were made of a metal (alloy) structure, with a porcelain covering. In many instances, these crowns appeared opaque and thick. In some cases, nonprecious alloys, metals that are not high gold content, can result in darkening at the gumline, leaving you with an unnatural appearance as the metal continues to oxidize and stain -- a dead giveaway which announces "fake teeth. 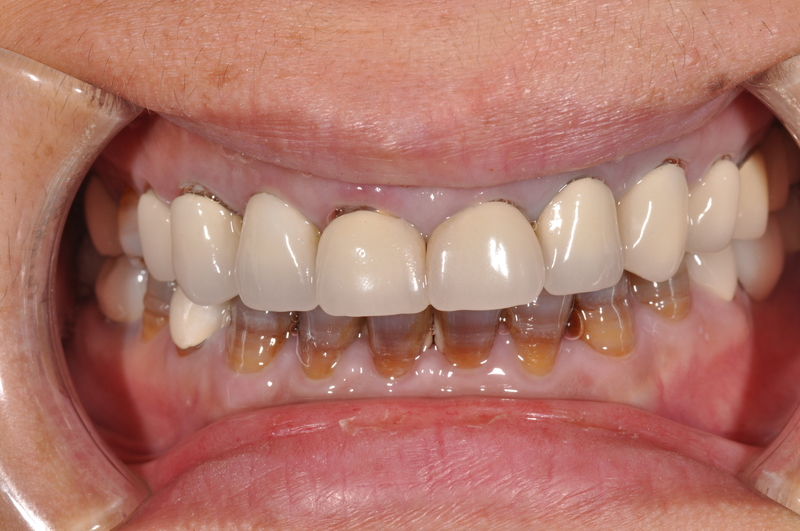 In addition, restorative work from 10 years ago may look different in color from your original teeth which have darkened with age compared to the older porcelains used. • Do they affect my bite or do I avoid them while chewing? • Do they look worn or do they age my smile? • Do they cause pain, bleeding, or a funny taste? • Do you look different than the rest of your teeth? • Are they damaged or discolored? If you answered "yes" to any of these questions, you should have your restorations examined. Worn or ill-fitting dental work not only looks less attractive, but it can allow harmful bacteria to seep into unreachable spaces, leading to decay and gum disease. • Fillings last many years, but if their seal is compromised, the tooth is at risk for decay. • Veneers are strong, but misuse can cause chips. • Bonding is very durable, but can discolor. • Crowns are strong, but do wear down and can allow decay to attack the teeth beneath them. • Bridges can withstand a great deal of force, but ill-fitting ones can lead to gum pain, sores, and disease. Waiting to replace restorations can harm your teeth, gums, and bite—as well as your appearance. We can provide beautiful lasting restorations that fit your smile and your lifestyle perfectly!